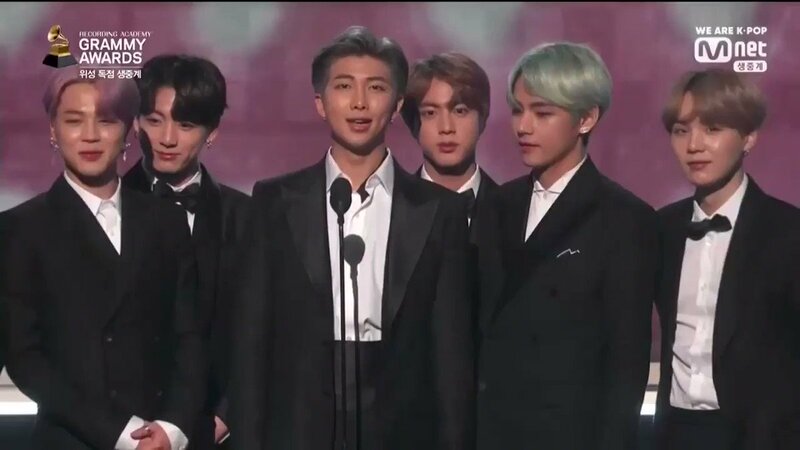 Mwave's tweet - "💜@BTS_twt presenting the #GRAMMYs Best R&B Album award Congrats to @HERMusicx! #BTSxGrammys "
This is like the only part I wanted to watch the Grammy BTS!!! E assim, os BTS fizeram história, mais uma vez. Apresentando a categoria "Melhor Álbum R&B" nos #GRAMMYs 2019. PERSONA 💜 Who the hell am I? RM already claimed the next Grammy. And yes, all of you will come back to this show then bring home awards and perform on the stage too! Amen.